While the rumored 6.1-inch iPhone isn't expected to feature an OLED display like the iPhone X, the device will still have a more advanced LCD display than previous iPhones, according to Taiwan's Commercial Times. The report, translated from Chinese, claims Apple will be adopting Japan Display's so-called "Full Active" LCD technology. Unlike traditional LCDs, like those of the iPhone 8 and iPhone 8 Plus, Full Active LCDs only require ultra-slim 0.5mm bezels on all four sides, even smaller than those on the iPhone X.
Japan Display says its Full Active LCDs are six-inch displays with a resolution of 2,160×1,080 pixels. Accordingly, the panels have an 18:9 aspect ratio, meaning their length is double their width. This suggests the 6.1-inch iPhone will have a taller display, likely with a cutout for the TrueDepth camera system, although not quite as tall as the iPhone X with its unique 19.5:9 aspect ratio. The device is already rumored to resemble the iPhone X's nearly full-screen design, so this would make sense. A 6.1-inch display with a resolution of 2,160×1,080 pixels would have around 395 pixels per inch. KGI Securities Ming-Chi Kuo said the 6.1-inch iPhone's display will have 320-330 PPI, however, so there's conflicting information. This rumor is consistent with a report from The Wall Street Journal in September, which said Apple was considering using Japan Display's advanced LCD panels in some 2018 iPhone models. 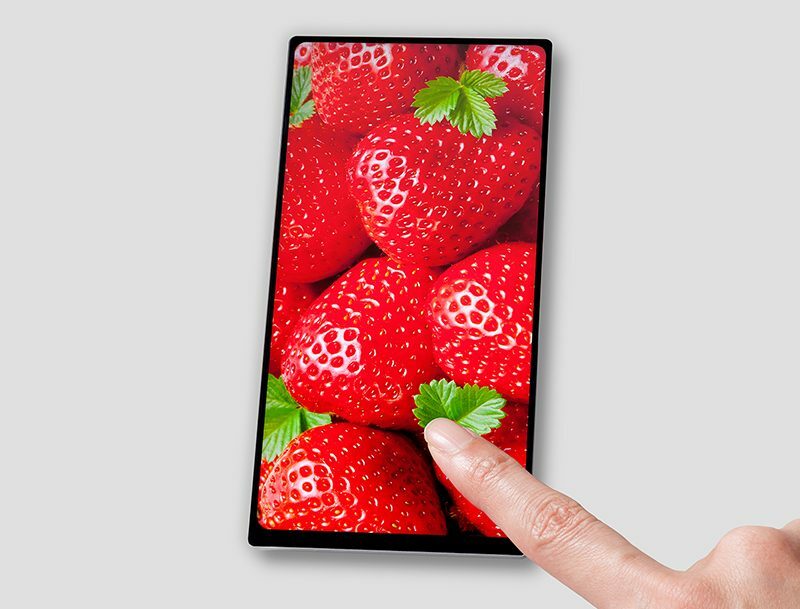 Full Active LCDs have already been used by some Chinese smartphone makers, including Xiaomi for its Mi Mix 2. The use of Full Active LCDs instead of OLED displays is one design compromise that will allow Apple to sell the 6.1-inch iPhone at a cheaper price point. Others include an aluminum frame instead of stainless steel, a single-lens instead of dual-lens rear camera, and no 3D Touch, according to Kuo. In a research note obtained by MacRumors today, Kuo predicted the 6.1-inch iPhone will be a mid-range device priced between $700 and $800 in the United States, up from his previous $650 to $750 estimate. No 3D touch? Come on. That's a huge step backwards. No notch = take my money. If I want to see strawberries in such high resolution I'll just buy some actual strawberries I can also eat and which don't have any bezel. Phones are too expensive. If you buy a phone you can take a picture of the strawberries before you eat them and have both. Any news about SE 2? While I'm guaranteed to update to whatever comes out this fall, I'm not really sure what more I could want from an iPhone, beyond iPhone X. Most of what I would want to see is in software, not hardware. Tall and narrow again - waiting for this fad to pass!